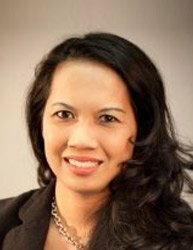 Mary Pham has served as the Chief Operating Officer (COO) for the Center for Inherited Blood Disorders (CIBD) since 2010, ensuring its integrity is preserved across programs and services with expertise in 340B Pharmacy programs, clinic, grants and overall healthcare management operations. Mary is certified as a non-profit management professional with over 16 years of management experience in public hospital, children’s hospital and other healthcare settings. In addition, she currently serves as a Subject Matter Expert for HRSA’s Peer to Peer Program, sharing best practices to other programs nationwide for the 340B Discount Purchasing program. Mary also serves on the board of directors for the Coalition of Community Clinics and the World Federation of Hemophilia, and works with the State of California’s Emergency Program for Hemophilia and Blood Disorder Patients.